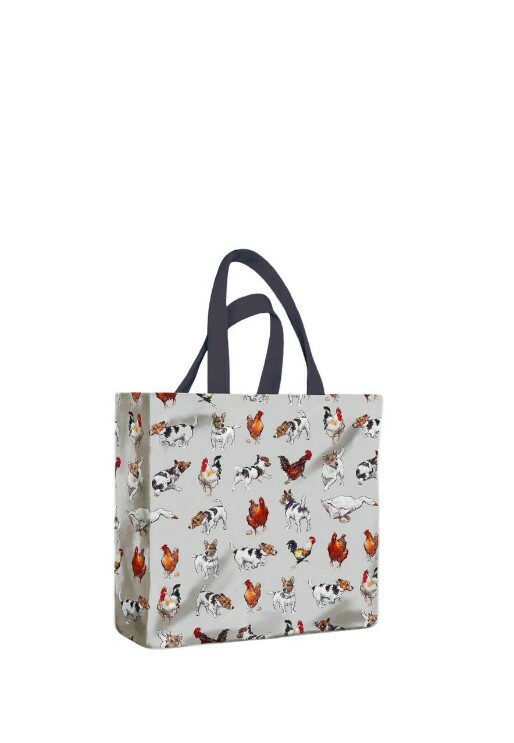 The Farmyard Frolics PVC Mini Gusset Bag is manufactured by Samuel Lamont. The pvc mini gusset bag is trimmed with matching handles. Each bag is lined inside and includes a zipped inside pocket. Mini Gusset Size : 8.8 x 8.8 x 4.0 inch ( 22 x 22 x 10cm) approx. The Farmyard Frolics PVC Mini Gusset Bag will be securely packaged for shipping.